Heresite ES-600 is a high-performance spray-applied coating used to protect heat transfer equipment and components – including, but not limited to, coils, cabinets, and copper piping. It is designed to be a robust spray-applied alternative to Heresite’s full immersion P-413 when components cannot be oven cured, logistics present challenges, or budgets necessitate spray application. ES-600 has been extensively tested using ISO 12944-9 (4,200 hours cyclic corrosion) and has demonstrated superior performance in demanding C-X environments. A direct to metal coating, ES-600 exhibits excellent corrosion, humidity, and UV resistance, along with good adhesion to ferrous and non-ferrous metals without complex pretreatment or primers. 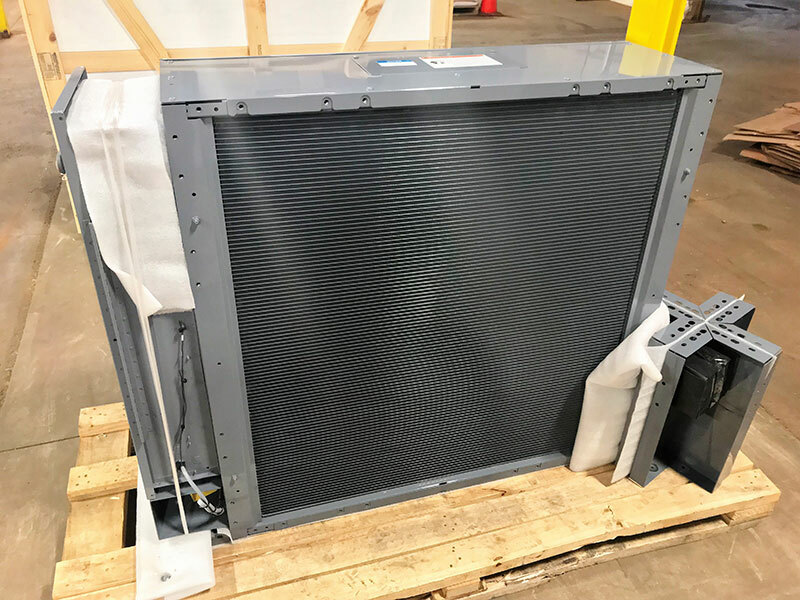 This two-component coating is typically sprayed on internal and external surfaces of HVAC-R heat exchangers and related equipment. ES-600 is available in one gallon kits. Both Part A and Part B are provided in short filled cans, allowing for accurate and easy mixing.